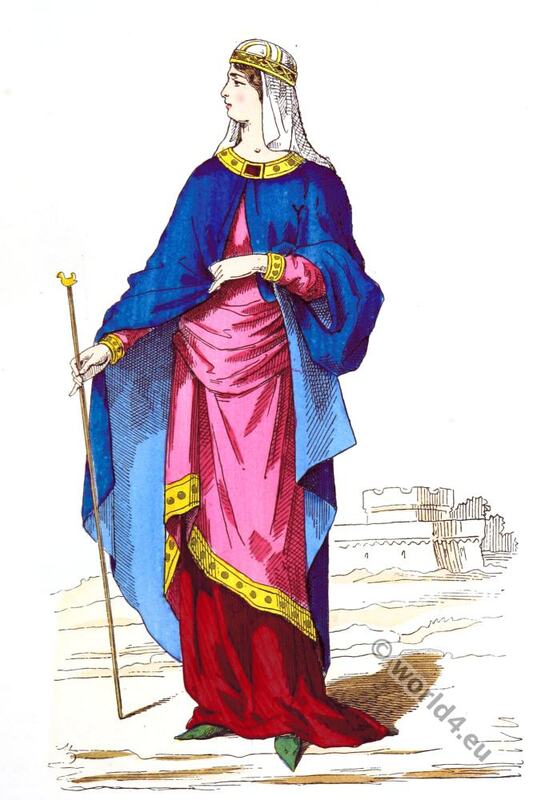 Noble woman dress of the Carolingian period. Home » Noble woman dress of the Carolingian period. Noble woman dress of the Carolingian Period about 890 to 900. Femme de l’Époque Carolingienne vers 890 a 900. Reign of Louis II. 846 – 879 (Louis the Stammerer. French: Louis le Bègue) eldest son of Charles the Bald. Charles III 879 – 929 (Called the Simple or the Straightforward). Source: Costumes civils et militaires des Français à travers les siècles. 1883. Author: Jean Baptiste Marie Augustin Challamel. Engraver: Meunier, Jean-Baptiste. Ouvrage couronné par l’Académie francaise. Grecian Ladies in Chiton. Ancient Greek Costumes. Ancient Egypt Pharaoh Seti I. Necropolis of Thebes. 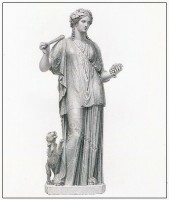 Libera, or the female Bacchus in a tunic of fine material. Gallic leader before the Roman conquest. Merovingian King in char. 6th century. Early Christian and Arab clothes. This entry was posted in 8th Century, 9th Century, Byzantine, Carolingian, France, Middle Ages and tagged Augustin Challamel, Costumes civils et militaires des Français, Medieval costume on 4/11/15 by world4.